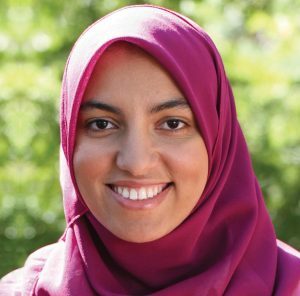 The Partners for Health Foundation Board of Trustees elected Sara Elnakib to the Board for a three-year term, effective January 2019. Sara has worked in community nutrition for more than 10 years. She joined the Rutgers Cooperative Extension in the Department of Family and Community Health Sciences as an Assistant Professor in January 2015. As part of her role as a member of the Passaic County Food Policy Council, she focuses on food insecurity and improving food access within the County. Sara is also interested in food waste in institutional settings and how behavioral economics can be leveraged to reduce food waste. Prior to the faculty appointment at Rutgers University, Sara served as the Health and Nutrition Director for a Head Start Program in Montclair, and as an Adjunct Professor at Montclair State University. She is currently a doctoral candidate in the Rutgers University, School of Public Health. She earned her Bachelors of Science from Rutgers University in Nutritional Science and a Masters of Public Health in Health Education and Behavioral Science from the University of Medicine and Dentistry of New Jersey.